...poised on the southern edge of the village of Tremithousa, with wonderful panoramic views down the hill to Paphos and the Mediterranean Sea beyond. 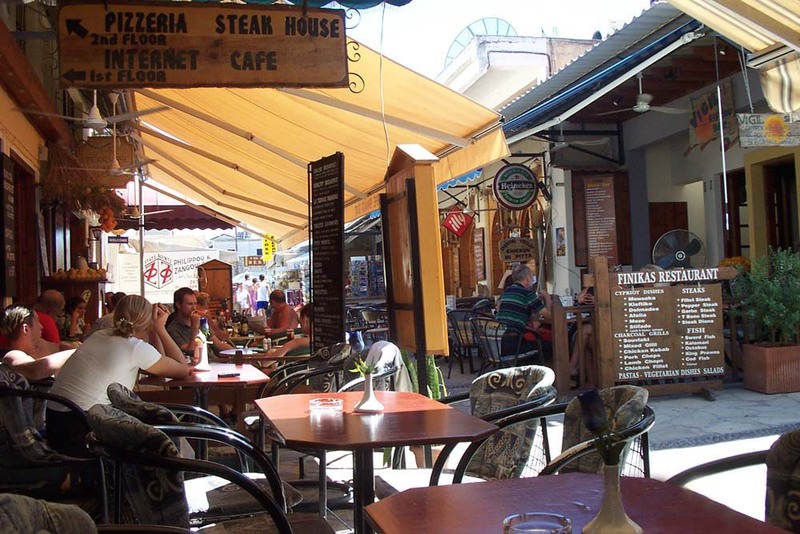 In the summer, when the bustling town of Paphos can have high humidity as well as heat, up here the lower humidity and cooling breezes are very welcome. 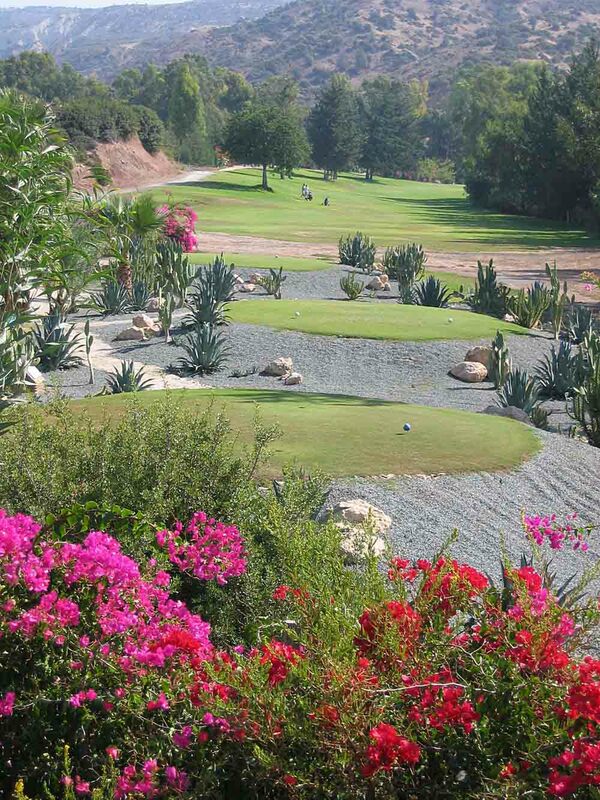 A little higher still is Tsada Golf Course, which is much more comfortable in mid-summer than the other golf courses at lower levels - Secret Valley and Aphrodite Hills, which are best played at other times of the year. All three golf courses are within easy driving range of the apartment. Our small 'Panthea'(Greek for 'wide view') development has its own swimming pool, shared by just ten properties; it is never crowded, and there is always plenty of space to relax around it - as well as above it on our balcony, which has the best views. There are many beaches within easy reach by car, and they are all public access, even the ones in front of hotels. Many of these beaches have sporting facilities, such as wind surfing, parascending and jetskiing, and the rockier coves can be good for diving. 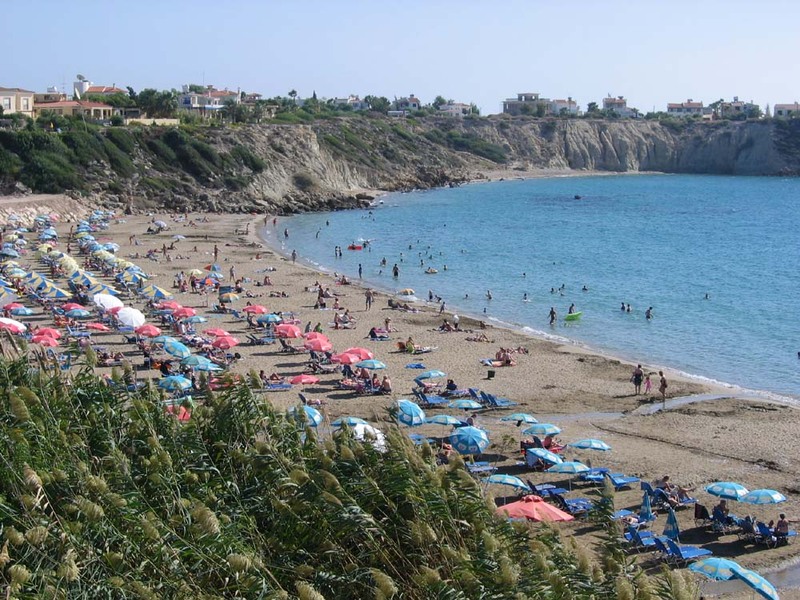 Coral Bay is probably the best beach nearby, and it also has a lively road of tourist attractions (an alternative to downtown Paphos), including a good Internet Cafe. More on the wild side, west along the coast, is Lara Beach, famed for its turtles and in a much more scenic setting, giving a clue that this is part of the Akamas Peninsula. 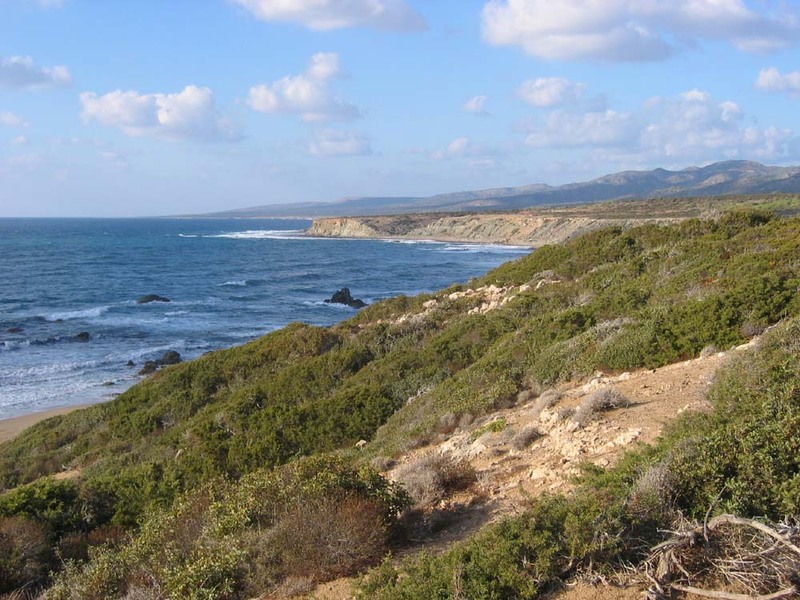 The Akamas is a wonderful unspoilt corner of Cyprus, the scenery, plants and animals making it a treasure for walkers and those interested in natural history. 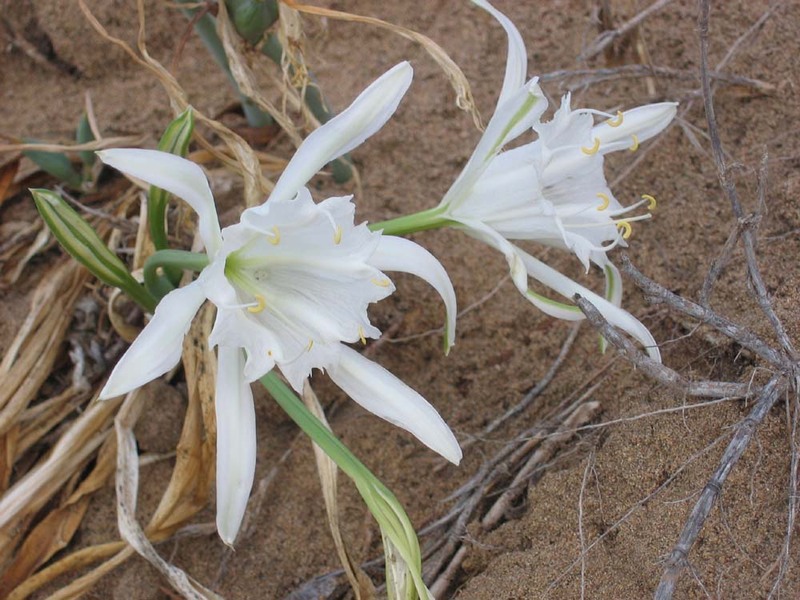 There is always something to see, and spring is the best time of year. Most of the tracks need a 4x4 vehicle, which can add to the fun as well! There is a ridge forming a spine along the middle of the Akamas. 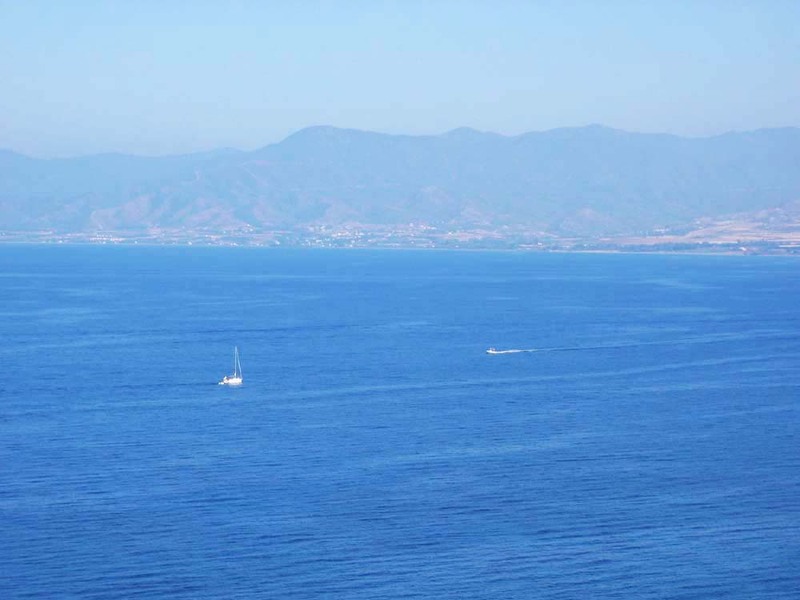 If you drive up to it from the south side, you will find some great views to both sides, and to the North you will see the wide Polis Bay and the town of Polis in the middle of its coast. The area is not nearly as developed as around Paphos. Polis is a nice small town with lots of facilities and pleasant pedestrianized streets and cafe's in the centre, along with another Internet cafe. North up the coast from here and you will be largely on your own as you head towards Northern Cyprus and into the western end of the Troodos mountains. While the coast road is very good, the tracks into the mountains soon degrade into very rough tracks with some scary drops - 4x4 mandatory and lots of nerve and preferably skill, too! 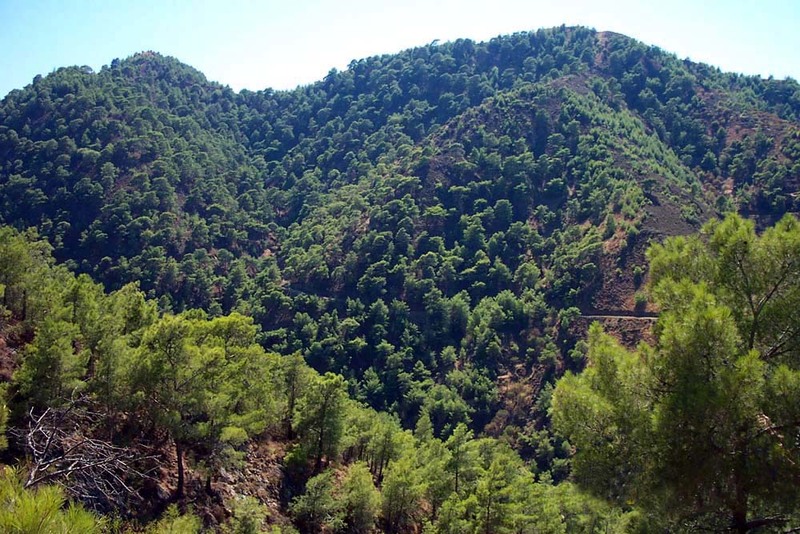 For the faint-hearted, there are many much less traumatic tracks up into the conifer-clad Troodos, which are well worth exploring, some starting a short distance up the hill from our apartment. They take you to mountain-top monasteries, Cedar Valley (home to Cyprus' own subspecies of Lebanon Cedar), friendly villages with some good places to eat, and skiing in Winter. As you descend from the peaks, if you follow the main road, you will find yourself heading towards Limassol, larger and more industrialized than Paphos. Having turned west onto the motorway, heading for Paphos, you may notice some large dams and reservoirs to the north, either with the eye or by reading the map or signs. There are alternative, smaller, roads which follow the dammed valleys, and these are worth taking if you have the time; they are much quieter and more interesting. It is worth getting a good map beforehand. Along the motorway, you'll pass the entrances to Aphrodite Hills and then Secret Valley Golf Courses, though you won't see anything of the courses themselves unless you turn off. 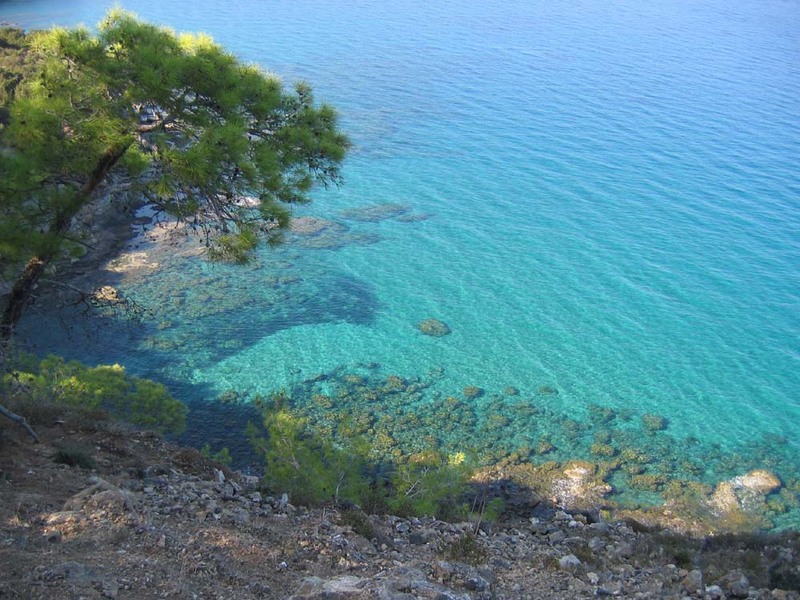 It is also worth turning off to follow the old road, lower and nearer the coast, to see Aphrodite's Rock, perhaps not so much for itself as for the spectacular coastal scenery; and not being on the motorway, you can stop and look and stretch your legs. 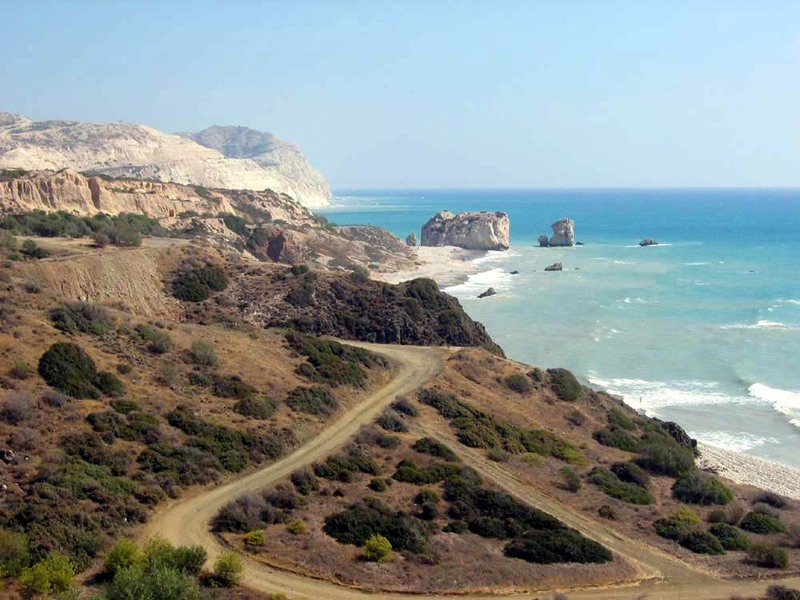 Back on the motorway, you'll soon pass the turnoff(s) to Paphos Airport, before the motorway ends on the outskirts of Paphos, 15 minutes from our apartment.